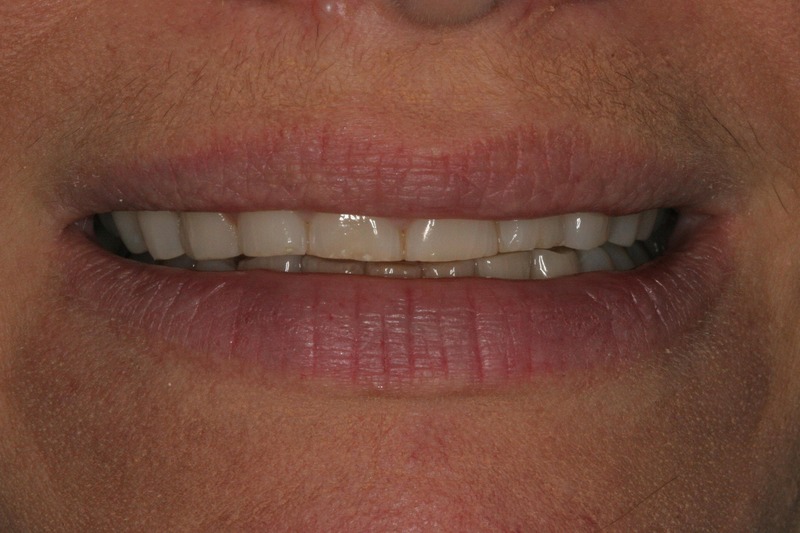 Patient's chief complaint was that she couldn't see her teeth when she was smiling. Regained natural smile. 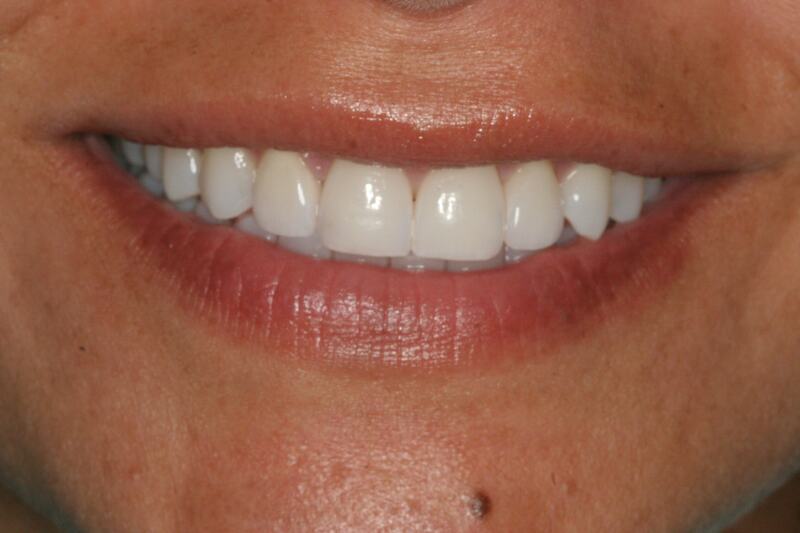 Patient must wear an occlusal splint "night guard" to protect from further wear. 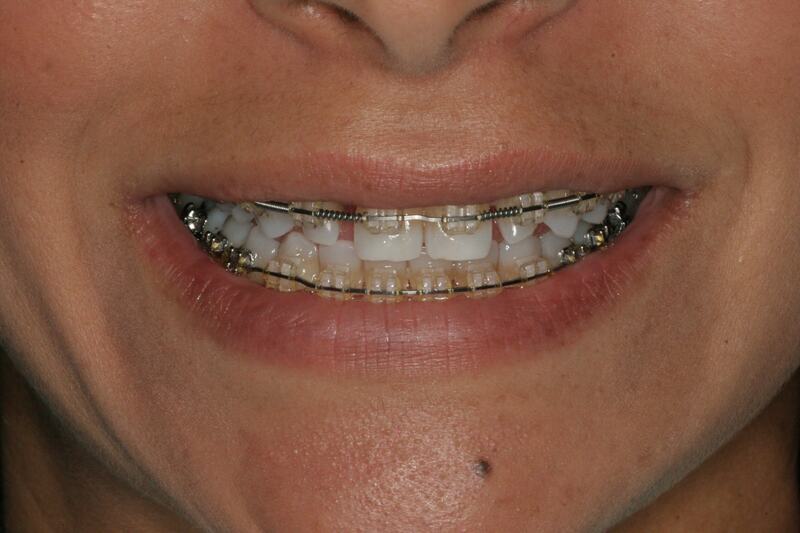 25 year old female patient with "peg lateral teeth" being orthodontically being proportionately positioned. 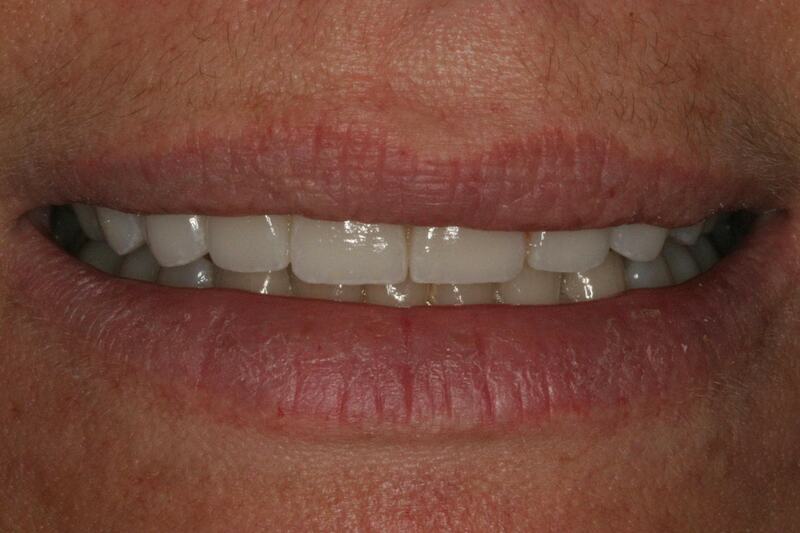 Orthodontist did a wonderful job positioning teeth with proper spacing to restore her smile with veneers.